Here at ASOS, we want to give everyone the confidence to be their best self, because, when you’re at your best, you can achieve amazing things. Our Technology team pioneer incredible solutions that change the way our millions of customers can access fashion. We believe that fashion can make you look, feel and be the best version of you and it’s this feeling of empowerment that we want our ASOSers to experience while working with us. Our ASOSers reflect the diverse society they live in; we celebrate our differences and welcome people from all different walks of life. We’re looking for people who can live and breathe our values of being authentic, brave and creative and we don’t care about labels- we recognise there are endless ways to be ‘you’. Sound like a place you’d love to be? Come and join us! Want to be a part of the team responsible for making it effortless for our ASOS customers to choose the right sized product every time, that fits just as they like it, instilling confidence in their purchase? 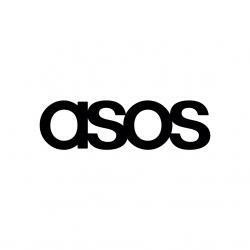 Size and fit is the number one reason for returns for online retailers, and ASOS is no exception. For a company that works tirelessly to create a painless purchase journey, our customers still find it difficult to order the garment that fits. And with around 850 different fashion brands on site, and with customers from all over the world, it’s no wonder this area is such a minefield at ASOS. We want to make it effortless for customers to choose the right clothing. As a Business Analyst in the Commerce Tech Size & Fit Team , you will be fundamental in helping make our customers sizing experience as friction-less as possible, and in turn, help lower our returns rate. You’ll be working extensively with, Software Engineers, Web Engineers and QA Engineers, Solution Architects, UI/UX designers and Data scientists to deliver leading edge tech and business solutions. You’ll be making sure we build the best management tools for our Retail teams, as well as helping evolve AI solutions to give customers a targeted and personalised size and fit advice, on one of the largest ecommerce retail sites in the world. You’ll also be part of our wider BA Community, led by our Principal BA. You’ll be invited to community events, knowledge shares and meet-ups, all to support your Business Analysis development journey, ensuring you can be the very best version of yourself at ASOS. If you are a driven Business Analyst with a passion for tech solutions and innovative customer experiences, and you want to work in an amazing team with great potential for personal growth and progression, then we would really like to hear from you. What you’ll be doing: Discover, understand, and own functional and non-functional requirements for specific deliveries, whilst considering the wider business and technical context and impact Help forumlate and validate requirements using a variety of qualitative and quantitive techniques: data analytics, customer feedback, prototypes, workshops and other research activities Work with the Product Manager to develop, prioritise, articulate and maintaining the long-term roadmap Alongside the Agile Delivery Manager, own the short-term backlog of epics, features and user stories for the delivery teams that you work with Work in an Agile environment: lead refinement and planning sessions; actively participate in stand ups, reviews, retrospectives and product demonstrations Review and provide feedback on user stories delivered, demonstrate product deliverables and share your team's success stories with the wider business Work closely with Software Engineers, Quality Assurance Engineers and Solution Architects to ensure that solutions are continually aligned to requirements Own and co-ordinate changes that are required across multiple technology teams Manage stakeholder relationships and needs at various levels throughout the business Work with the team to preserve and extend our fantastic and collaborative working environment Deliver customer value quickly and iteratively, where you will either constantly apply any learnings or comfortably push back and challenge the status quo We’d like to meet someone with… Experience working as a Business Analyst across the full project delivery lifecycle (from initiation through to benefits realisation) Experience working within lean and agile environments Proven involvement with customer-facing projects Experience working closely with multi-disciplinary development teams and UX designers An ability to articulate or illustrate technical pieces of work and express the business value behind them A drive to improve both business and technical processes Enthusiasm to keep improving self and assist the wider team in continuous improvement What's in it for you? A truly unique and agile working environment where you’ll be surrounded by a diverse range of passionate experts, with two common interests: technology & innovation Generous salary, bonus and pension matching Life insurance, free private medical care, cycle to work scheme + more A bespoke flexible benefits scheme catered to you Best in class Learning & Development schemes and career development programmes 25 days holiday + never work on your birthday again! Free modern onsite gym, plus personal training and wellness rooms Tech Develops days– one day per month dedicated to developing yourself and developing others within Tech Tech Presents days- breakfast mornings to collaborate and share your work with other teams A dynamic social environment, from company-wide sports days, charity days, ‘Give A Week Away’ opportunities to visit our charity partners in India, company-wide celebrations across Christmas and Summer to name just a few Huge staff discounts and sample sales Plus much more… Technology at ASOS ASOS is one of the UK’s top fashion and beauty destinations, expanding globally at a rapid pace. Our values are to be authentic, brave and creative, and we live and breathe these in everything we do. We believe fashion can make you look, feel and be your best and, with technology in our DNA, we deliver the latest trends to our digital-obsessed 20-something market. Our award winning Tech teams sit at the heart of our business. We deliver technical innovation and pioneer incredible solutions, which are crucial to our continued success. We’re extremely ambitious and thrive on the individuality of our amazing employees. Our values encompass everything needed for our tech people to be the thought leaders of tomorrow. DXC Technology (NYSE: DXC) is the world’s leading independent, end-to-end IT services company, helping clients harness the power of innovation to thrive on change. Created by the merger of CSC and the Enterprise Services business of Hewlett Packard Enterprise, DXC Technology serves nearly 6,000 private and public sector clients across 70 countries. 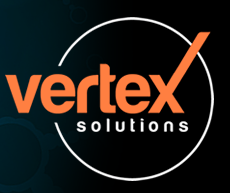 The company’s extensive partner alliance and independent status allows us to build strong vendor relationships . This is an exciting opportunity for an experienced Business Analyst to become part of a growing team, where you will work closely with high profile stakeholders on a day-to-day basis. You will be Supporting the project manager and delivery team throughout implementation and ensure the solution remains within scope and compliant Knowledge & experience within this area? Strong analytical skills coupled with an understanding of how to interpret customer business needs and translate them into application/solution requirements according to best-practice methodologies Excellent written and verbal communication skills; ability to engage with stakeholders at all levels (end-users, senior management, subject matter experts, etc.) Technical/IT background with appropriate qualification(s) to support Proven experience working in cross-functional teams (both client side and internally) Detailed understanding of common application technology stacks related to eCommerce systems and the online and Information Technology space in general Proven experience in analysis and design of solutions across multiple channels and platforms; online, mobile, retail, etc., including change management processes as necessary Demonstrable experience in risk, issue and change management Experience in working with pre-sales and conducting Feasibility Analysis What we are looking for? Experience in using enterprise-level requirements definition management systems, methodologies and processes Technical BA experience in enterprise-level projects for large corporations Detailed understanding of common enterprise-level application technology stacks related to eCommerce systems such as Hybris and WebSphere Commerce Formal BA process/tool/methodology certification(s) such as BPMN or similar Certifications in product platforms (as pertaining to business analysis) in Magento, Hybris or WebSphere Awareness of multi-channel delivery strategies as pertaining to analysis activities in general and dependencies therein Experience working in an Agile environment (any flavour of Agile) Gather requirements from clients to define project scope and key deliverable Document and design business processes and solutions for client projects according to industry best-practice and White Labelled delivery procedures Liaise with customer stakeholders, technology, delivery and support teams throughout the project lifecycle for requirements-related matters Assist in managing and identifying scope creep and impact assessments/change requests Reduce project risk, probability of scope creep and increase project profitability through the correct application of your knowledge and skill as a business analyst Provide input and assistance in developing and presenting solution proposals for new project work Assist Client Directors and Pre-Sales Team on responding to client pitches and queries Assist Project Managers to respond to Change Request estimates and gathering requirements Provide proactive contribution and on-going refinement of the project delivery process Having key relationships within the business with; Technical Lead Development (Team) Lead QA/Test Lead Tester - Project Manager Client Director Client Technology Partners, Vendors and Suppliers If this is something you may be interested in, please get in touch! Major Banking organisation urgently seeks two experienced data analysts / business analysts with extensive AML and Transaction Monitoring experience for major financial companies. Roles are based in London & Glasgow. Successful candidates should fit the below profile as closely as possible. Essential Skills/Basic Qualifications : Proven working experience in the financial Sector with a strong speciality in AML Transaction Monitoring with knowledge of specific TM solutions Proven business and data analysis skills, with a history of producing high quality deliverables for an end to end lifecycle & complex AML TM projects Problem Analysis - ability to breakdown and logically display the problem and the conceptual problem in a precise manner with attention to detail Experience of working within a global environment Experience of refining processes to best practice, including within an agile environment. Experience of process documentation and proven ability to work effectively either independently and as a team member Desirable skills/Preferred Qualifications Experience of AML/TM within a Financial Services environment, with knowledge of specific TM solutions, Knowledge of Transaction Monitoring transaction types, data models and customer types/Client segmentation AML TM Optimisation Expert (Tuning) Polished written and verbal English communication skills with strong presentation skills and the ability to liaise across Financial Crime and IT focused stakeholders, up to Director Level. Experience of balancing multiple activities and initiatives, whilst successfully achieving targets and milestones Knowledge of Actimize product- Familiar with the structure of Actimize DB and Actimize RCM Relevant technical business analysis, and/or domain qualifications, e.g. ICA Advanced Certificate/Diploma in Anti Money Laundering. ALL experienced Analysts (Data & Business) with strong AML and Transaction Monitoring should apply now. This innovative tech/software company, with a lead position in its market, is looking for a strong SQL / BI Commercial Analyst to join them on a rolling 3-month contract (likely to last c 9 months) for a maternity cover to directly influence product, marketing and strategy by drawing insights from analysis and providing a fact base for decision making. You will need to have a commercial mind-set, know the value in what you provide and be confident in presenting the outcome of your work so the right decisions can be made. Role & Responsibilities You will own the performance narrative for the team Develop insight from a range of internal and external sources and use it to drive decision making. Responsible for explaining and communicating on how performance is progressing what has been learned from recent tests and recommending what we do next. Learn and find tailor made answers to ad hoc questions using different tools. Directly influence product, marketing and strategy by drawing insights from analysis Work with the product marketing teams to formulate hypotheses and design and measure experiments. Develop insights and make recommendations for iteration. Experience & Skills Required Educated to degree or a post grad qualification in maths or science very desirable. Be very adept in finding the balance between managing data complexity/imperfection and move quickly to get things done. Have several years’ commercial experience in the tech/web sectors and have a number of successes and failures you’ve learned from Be a highly quantitative and capable analyst. Build and own BI reports for your own use and to keep the team informed. Confidently write SQL queries to build your own datasets for analysis. Build a collaborative relationship with our database / analytics teams. Understand hypothesis testing, AB testing and statistical significance concepts. Effectively communicate to all levels. Manage with limited supervision and rigorously prioritise your work load. If you fit the above job description, please contact Teresa Cheeseman or email her on teresa.cheeseman@datatech.org.uk. Please be advised that we can only accept candidates who have the right to work in the UK. Reqiva are seeking an experienced SQL – Data Analyst/Engineer for a marketing technology company, who are now seeking to expand their analytics talent to help them grow their analytics capability! They enabled retail clients to leverage the power of their point of sale (POS) data to grow their business. Through OnPoint solution, they gain access to 100% of a retailer’s POS transactions, at the item level, in real – time. This enables the retailers to use this data to create targeted communications to customers based on their specific shopping habits. This role would suit a curious, creative and persistent individual, with a thirst for learning and a natural aptitude for answering questions and adding value to clients. You will be a natural collaborator, and enjoying working on challenging projects with minimal supervision including scoping and delivering. Job Description: Working with clients to provide analytical support to deliver to their needs. Develop an extensive knowledge of the data environment and client data. Deliver high quality service to every client, including support OnPoint, delivery of data extracts, reporting and dashboards. Respond to internal and client requests swiftly, efficiently and effectively. Pro – actively improve deliverables from the team, by investigating and implementing ways to improve output and/or processes. Liaise with internal and external clients, providing project consultancy in a professional and collaborative manner. Turn complex analysis into clear, easy to interpret insight and stories. Enable non – analysts to effectively interpret results and insights. Ability to communicate insights and educate others through report and presentations. Find creative ways to leverage data to support development of new analytical monetization opportunities. Qualifications and Experience: Database (RDB, SQL). Advanced understanding of relational database fundamentals and query language (SQL). Automation using script language (Bash, Python, Ruby etc.). Management of Linux/Unix System. Advanced level programming in statistical modelling software. Information Science or Computer Science background. Proficient working with large volume data across most common file formats. Location: Central Reading. Job Type: Permanent. Salary: £35,000 – 45,000.